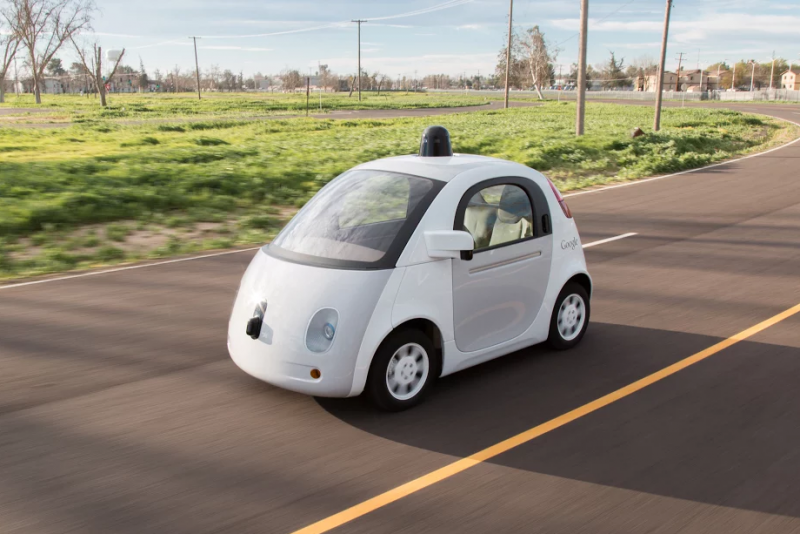 The California Department of Motor Vehicles has published draft proposals dealing with the use of self-driving cars on public roads – and Google isn’t happy with some of the regulations. The DMV’s proposed law says that all autonomous cars must have a steering wheel, and a licensed driver must be present to take over if the vehicle’s systems fail. "A licensed operator will be required to be present inside the vehicle and be capable of taking control in the event of a technology failure or other emergency," a draft of the recommendations stated. Google has said it is “gravely disappointed” by the proposals, as the company has been aiming to introduce self-driving cars without steering wheels or pedals to consumers. In developing vehicles that can take anyone from A to B at the push of a button, we’re hoping to transform mobility for millions of people, whether by reducing the 94 percent of accidents caused by human error or bringing everyday destinations within reach of those who might otherwise be excluded by their inability to drive a car. Safety is our highest priority and primary motivator as we do this. We’re gravely disappointed that California is already writing a ceiling on the potential for fully self-driving cars to help all of us who live here. The DMV also proposes that manufacturers of autonomous vehicles be granted a three-year deployment permit, during which time they can only lease cars to consumers, rather than sell them. Before the permit is granted, however, an independent certifier would need to verify a manufacturer’s safety assurances. Any prospective users of autonomous vehicles will need to undergo special, manufacturer-provided training. Moreover, manufacturers will be required to monitor how safely vehicles are driving and report their performance to the state. They will also have to disclose any data they collect, other than from safety systems, and obtain approval to collect it. Last month, it was reported that one of Google's self-driving cars had been pulled over by police for not driving fast enough. This situation brought up the question of who would be responsible if one these autonomous vehicles broke the law. According to the proposed regulations, any traffic violations or accidents would remain the responsibility of the human driver. Google previously said it would take responsibility for accident liability, but it seems that won’t be possible if this proposal becomes law. A statement from the DMV read: "Given the potential risks associated with deployment of such a new technology, DMV believes that manufacturers need to obtain more experience in testing driverless vehicles on public roads prior to making this technology available to the general public." The draft also requires manufacturers make their vehicles safe from cyber attacks. Back in September, a researcher discovered a way to hack self-driving car sensors using a laser pointer and a Raspberry Pi. It’s worth remembering that these rules are in draft form, and they could change at a later date. Next month, California state will open up the regulations to comments from companies, who will doubtlessly have plenty to say about the DMV’s proposals.